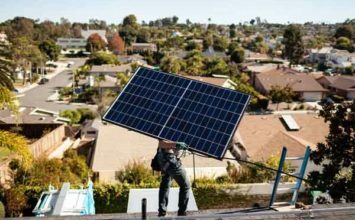 The U.S. state of California just set two separate demand and production milestones for solar, confirming that solar could become a big portion of it’s electricity mix. GTM reports that on Sunday, March 4, the California Independent System Operator (CAISO) recorded an all-time peak percentage of demand served by solar, hitting a record 49.95 percent at 12:58 p.m. This new record surpassed the previous peak that was recorded at 47.2 percent set the previous year on May 14, 2017. On March 5, only a day later, the CAISO set another solar record, hitting a new peak for solar production of 10,411 megawatts at 10:18 a.m.
Once again, this record surpasses the previous record of 9,913 megawatts recorded the year before on June 17, 2017.